Designed by Philippe Starck, the all-crystal our fire candleholder, inspired by the celebrated Harcourt set, has become one of Baccarat’s iconic creations. The candle holder is made up of three sections: the base is a Harcourt candlestick, followed by a candleholder inspired by the form of Baccarat’s Harcourt glass, and finally a crystal lampshade with a glittering red metallic finish. Light, filtered by the magic of crystal, flickers from the flame of the candle and turns into a magic glow. 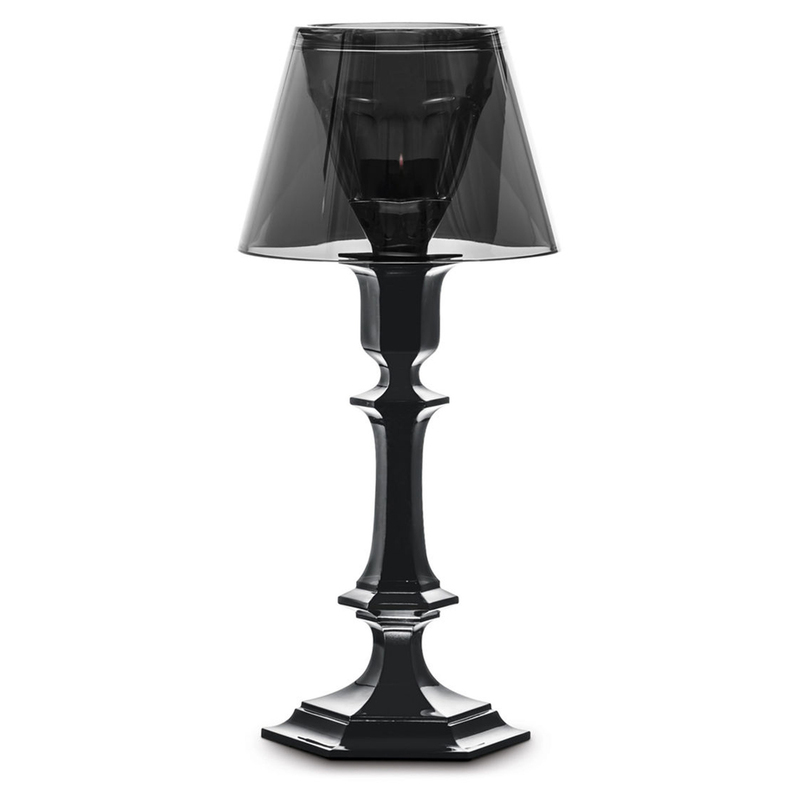 Each candleholder carries the Baccarat by Starck label.